This post is kind of written in a rush. I’ll explain why in just a second. First of all, our plumbing and electrical installation is finally completed. 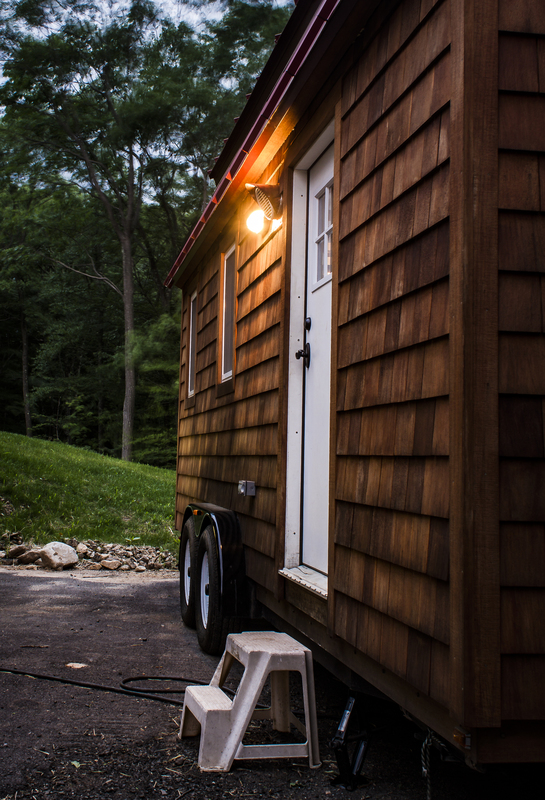 It only took us one year… but, go figure: Now that our tiny house is almost done, I (Luise) will be traveling for the next three months (leaving today, Friday, July 8th) and won’t be able to enjoy living in our “shanty” until October. Shawn will also be gone for a while (leaving August 28th). Guess, that’s the irony of life. If you want to know what we are up to, please feel free to check out our Instagram account. Our plumbing underneath the kitchen counter. You can click to zoom in. 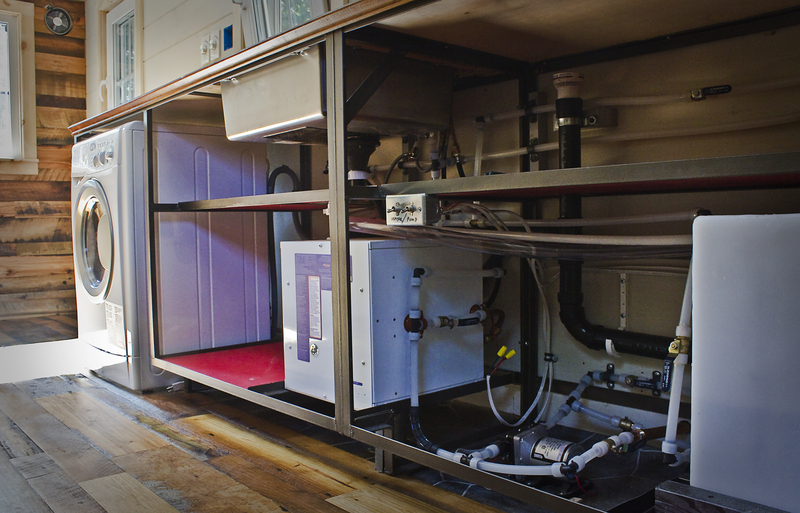 Visible here: washer/dryer combo, sink, water heater, water pump, part of our fresh water tank. Welcome to our tiny house! This outdoor light will greet you, when you visit us at night. 😉 If you zoom in, you can see one of our two heat recovery ventilation fans – and our outdoor outlet. 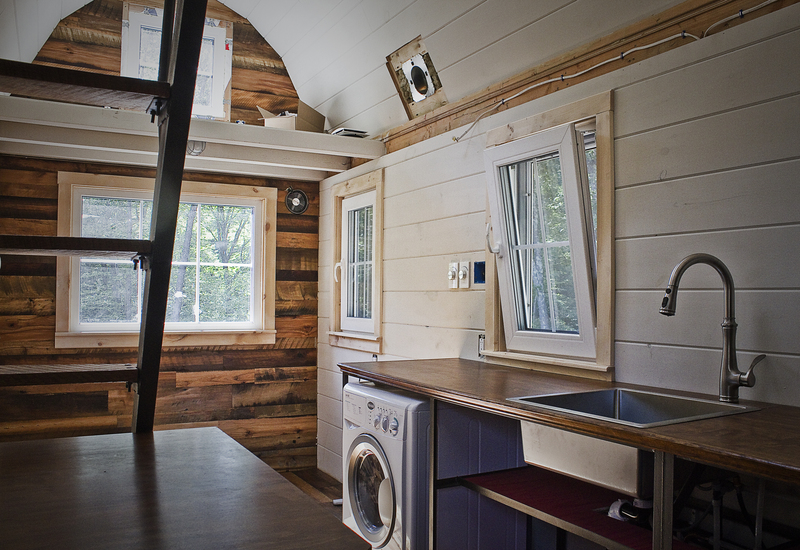 The things left to do can actually be counted on the fingers of both hands (like wood stove, couch, table, remaining trim, propane connection, shelving, closet, and maaany details). I assume everything will be completed in less than one month – yes, without my help! 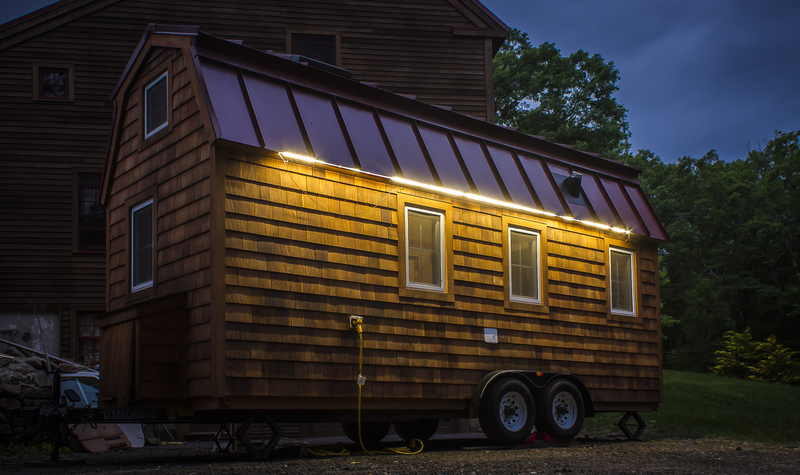 If I’m lucky I can settle right back into our tiny house when I return for a few days on August 4th! Go, Shawn, go!!! Our outside LED lights from Flexfire LEDs are so bright, the light up everything around the house. The look into our home when you enter through the door. And this is the look you get when you walk in and turn around. 🙂 Did you notice our barn door? 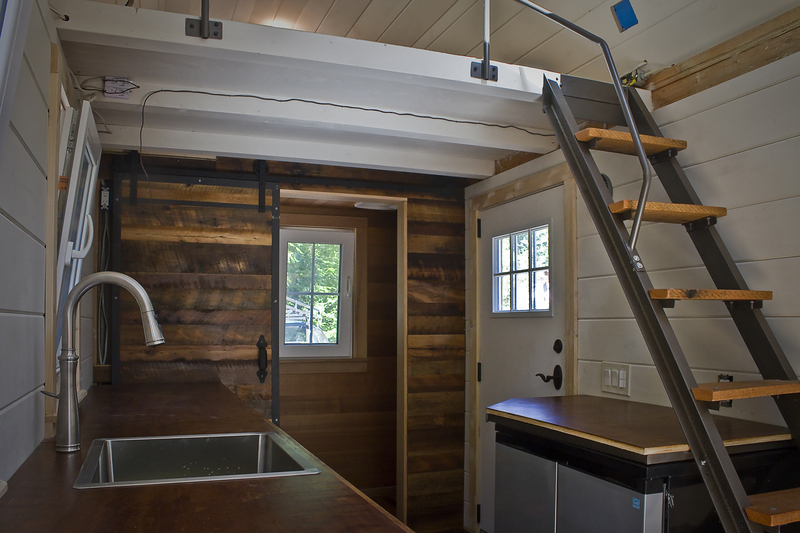 It uses quality hardware from Better Barns, a local company here in Connecticut that makes high quality products for personal and professional construction projects. 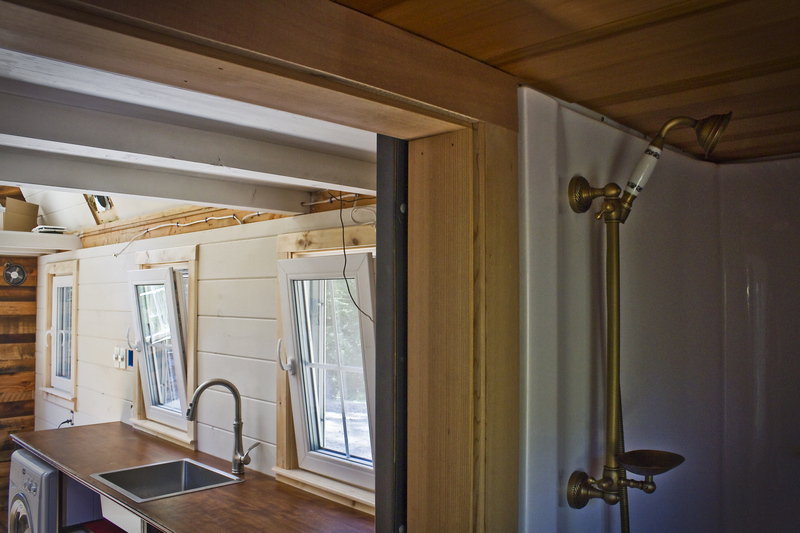 Tiny house builders get a discount, just ask for Penny: 888-266-1960 or penny@betterbarns.com.